Waverley brownall now manufacture a full range of Double Block & Bleed Valves that provide primary isolation when directly mounted onto process pipework. 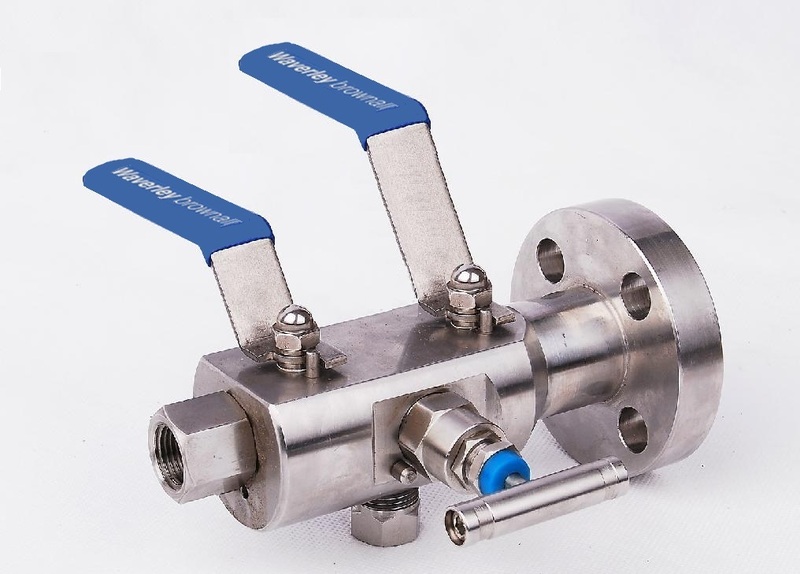 The WB valves offer an industry standard flanged inlet connection and a screwed vent and outlet connection to suit any instrumentation take off requirement. The valves are available in a multitude of configurations including Single Block, Double Block or Double Block and Bleed. 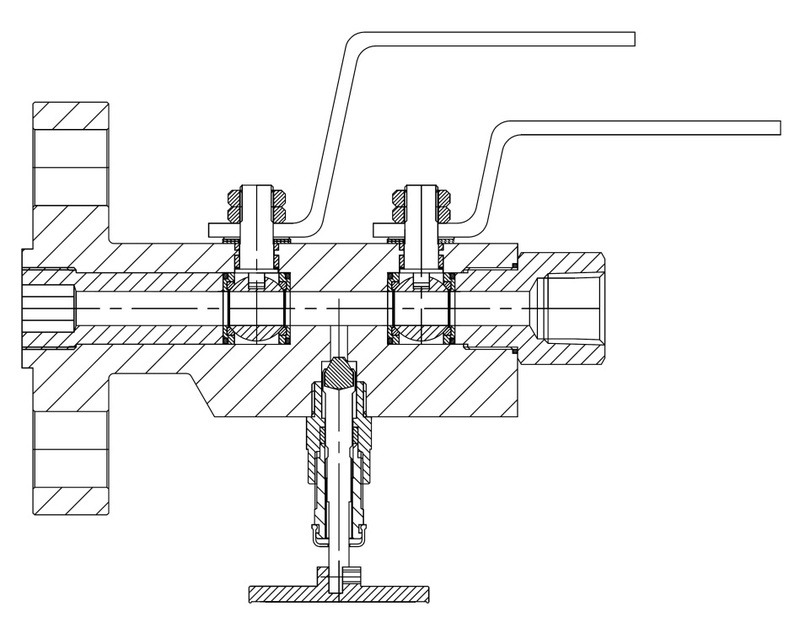 The WB valves all incorporate the well-established WB needle valve head and fully floating Ball Valve Assemblies. The WB valves are available in standard alloys, and many exotic materials to order. The WB valves are designed and manufactured and tested by Waverley brownall in the United Kingdom and can therefore be supplied with a full certification, testing and documentation to meet the specification requested. Inlet units can be manufactured with any flange type as below. Vent standard Vent connection is 1/2″ NPT (F) screwed connection. Others upon request. Fully Floating Ball Valve Assemblies with cavity relief through the seats. Colour coded dust cap protects the stem threads. Close tolerance glad pusher allows packing adjustment whilst in service. “T” Bar handle made from 304 or 316 stainless steel. Fastened to the spindle by a dowel type 304 or 316 stainless steel locking screw. Gland packing is PTFE as standard for temperatures up to 200ºC. Graphite seals are standard for temperatures up to 400ºC. Split stem designSpindle produced from 316 stainless steel. ensures accurate seating and bubble tight seal. Locking pinmade from 304 stainless steel ensures that the correct assembly torque of the valve head is maintained against the effects of vibration and/or temperature. Bonnet precision machined from 316 stainless steel, housing the gland packing below the actuating threads. Non-rotating trim made from 316 stainless steel, precision machined with spherical end to ensure a bubble tight seal. Can be manufactured in a full range of standard and special materials to suit the application.